Stress and anxiety can reduce your growth level. It also affects your digestive system, skin and beauty. So you have fewer cravings to produce good chemicals to cure yourself from stress and anxiety. Avoid junk foods it can be the cause to increase stress hormones. Lack of activity can also tighten our muscles which may be tension in our shoulders and neck. We feel trouble in sleeping too. Here we have some food tips to feel free from stress and anxiety. User of vitamin C found with low stress or anxiety. Vitamin C controls your blood pressure level which is the main cause of stress and anxiety. If you feel heat in your hand and feet during stress or anxiety sprinkle black pepper powder and salt on Orange slices and eat it. Must feel cool and reduces stress level too. Eating fresh fruit of Litche (Lychee) also best to reduce stress and anxiety level. Or make a powder with Litche (Lychee) seeds and take 3-4 pinches with water after 2 hours of having your breakfast. The best tip to release your anger naturally. Calcium (Vitamin C), iron and magnesium in sugar cane juice reduces high blood pressure level and control stress and anxiety naturally. Diabetes patients avoid to use it. Drink 1 glass of cold milk after eating 1 Mango. The best tip to reduce stress and sleeping well. If you feel stress after a long time workout eating 100-150 grams fresh Plum (Aloo Bukhara) relax your muscles and you feel free from stress. Eating salmon can reduce stress and anxiety. 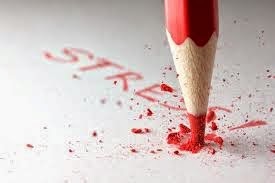 Adding at least three times in a week in your meal control your stress and anxiety level. Iron and calcium in Spinach best to control your blood pressure and low blood level. Eating 2-3 times spinach weekly or drinking spinach juice with homey when you feel stress or anxiety found very effective to deal with this. Omega 3 in walnuts found very great to keep your anxiety and stress level. Walnuts have a calming effect on your body and help relieve feelings of anxiety.